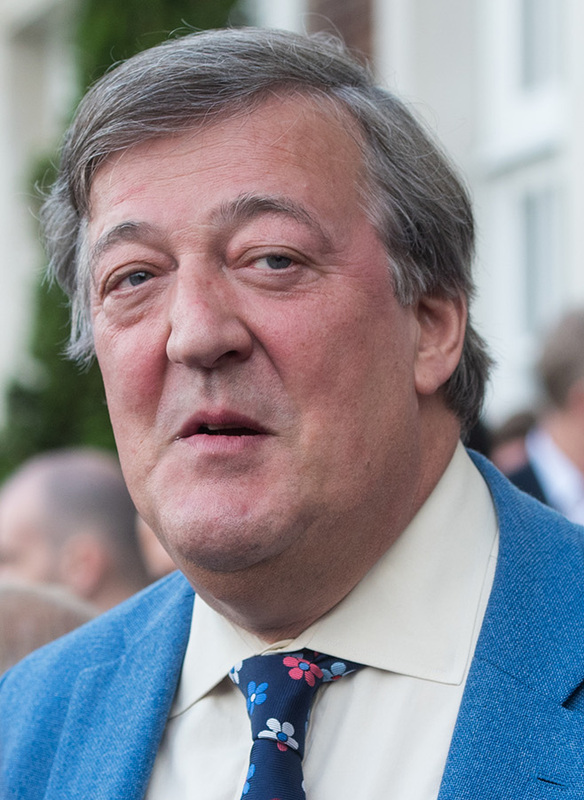 Stephen John Fry (born 24 August 1957) is an English comedian, actor and writer. He and Hugh Laurie are the comic double act Fry and Laurie, who starred in ''A Bit of Fry & Laurie'' and ''Jeeves and Wooster''. Fry's acting roles include a Golden Globe Award–nominated lead performance in the film ''Wilde'', Melchett in the BBC television series ''Blackadder'', the title character in the television series ''Kingdom'', a recurring guest role as Dr Gordon Wyatt on the crime series ''Bones'', and as Gordon Deitrich in the dystopian thriller ''V for Vendetta''. He has also written and presented several documentary series, including the Emmy Award–winning ''Stephen Fry: The Secret Life of the Manic Depressive'', which saw him explore his bipolar disorder, and the travel series ''Stephen Fry in America''. He was also the long-time host of the BBC television quiz show ''QI'', with his tenure lasting from 2003 to 2016. Besides working in television, Fry has contributed columns and articles for newspapers and magazines and written four novels and three volumes of autobiography, ''Moab Is My Washpot'', ''The Fry Chronicles'', and ''More Fool Me''. He also appears frequently on BBC Radio 4, starring in the comedy series ''Absolute Power'', being a frequent guest on panel games such as ''Just a Minute'', and acting as chairman during one series of ''I'm Sorry I Haven't a Clue'', where he was one of a trio of possible hosts who were tried out to succeed the late Humphrey Lyttelton, Jack Dee getting the post permanently.